Around the state leagues: Who put their hand up? A wayward Josh Walker registered 2.4 in Brisbane's 92-point thumping of Gold Coast at Burpengary on Saturday. Walker took 11 marks for the match. Leadership group member Ryan Lester collected 30 disposals and booted two goals while Marco Paparone also impressed (36 and a goal). Sam Mayes, Rohan Bewick and Ryan Bastinac each amassed 25 disposals. The Lions fielded 19 senior-listed players compared to the Suns' 11 in the lopsided 12.24 (96) to 0.4 (4) win. Young pair Matthew Kennedy and Jack Silvagni impressed as the Northern Blues fell to Williamstown by 43 points at the Williamstown Football Ground on Saturday afternoon. Kennedy notched up 30 disposals and a goal while Silvagni bagged three himself. Defender Jacob Weitering also looked good, amassing 21 disposals. Midfielder Cameron Polson tried hard but it wasn't enough as Williamstown won 12.6 (78) to 5.5 (35). Collingwood's four-point win was soured by yet another injury to the returning Jamie Elliott. The dangerous forward was returning after injuring his hamstring at training on April 11. Injury-plagued Elliott hasn't played at senior level all season, and his lone VFL appearance was in round one (where he kicked five goals) on April 7. Elliott will undergo scans to determine the severity of the injury. Brayden Sier and Rupert Wills were both busy for the Pies, especially at the stoppages. Alex Fasolo, Jarryd Blair and Sam McLarty all kicked two goals. Aaron Francis, who has only recently returned to football after taking personal leave to deal with mental health issues, was among Essendon's best in their 21-point win. Francis was busy in defence, taking a number of intercept marks. Jackson Merrett, Jordan Ridley and Kyle Langford all played well. Jake Long kicked two goals. Charlie Constable, who has been in imperious form in the VFL, sat out much of the match due to a suspected concussion. Lincoln McCarthy kicked three goals and was among Geelong's best, so too were Ryan Abbott, Matthew Hayball, Sam Simpson and Mark O’Connor. Dropped big man Rhys Stanley booted two majors in the four-point loss. 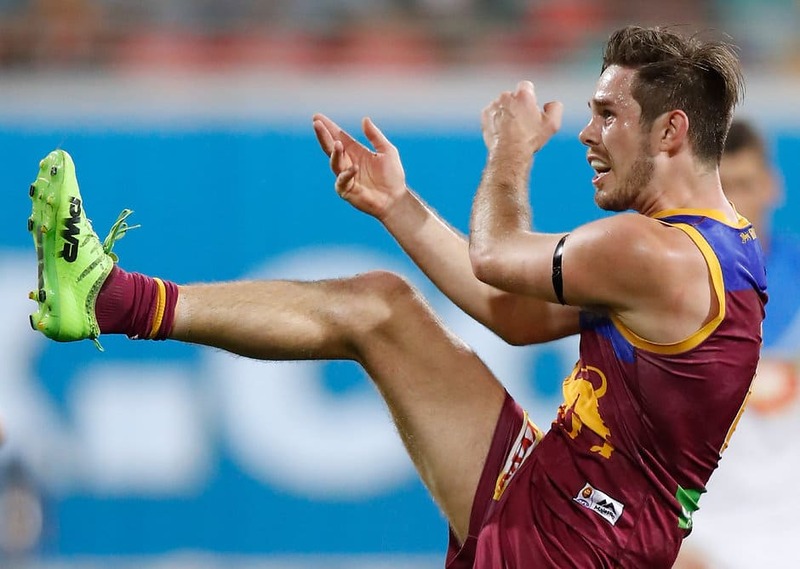 Peter Wright finished goalless, as did Gold Coast, but the tall forward picked up 20 disposals on a difficult day as the Suns lost to Brisbane by 92 points at Burpengary on Saturday. Rookie Jacob Dawson collected 31 disposals to lead his side in that stat while former first-round draftees Jack Scrimshaw (25) and Will Brodie (21) won their fair share of the football. Gold Coast scored two behinds in the first and third quarters as the Lions ran away with the comprehensive victory, 12.24 (96) to 0.4 (4). Dropped Greater Western Sydney key forward Jonathon Patton was kept goalless and restricted to 11 disposals in his side's 31-point loss to Sydney at Spotless Stadium on Saturday. The No.1 selection from the 2011 NAB AFL Draft took four marks. Defenders Matt Buntine and Tim Mohr racked up 39 and 31 disposals respectively while draftee Nick Shipley also had 31. Last year's No.11 pick Aiden Bonar finished with 22 disposals and a goal. The Swans led at every change to post the 10.13 (73) to 5.12 (42) win. Dropped for Hawthorn's round eight clash with Sydney, James Cousins put his hand up for a recall with an impressive performance. Rookie-listed Cousins had 23 disposals in the 39-point loss, so too did David Mirra, while Jonathan O'Rourke amassed 21. Mitchell Lewis was lively with four goals. Co-captain Jack Viney got through his highly anticipated return unscathed and looks almost certain to play against Carlton at AFL level next week. Viney, who had been sidelined because of an ongoing foot problem, collected 18 possessions. It was the 2016 best and fairest winner's first match since Melbourne's round 21 win over St Kilda last year. Tom Bugg was outstanding for the Demons, the hard-nosed forward with 20 touches and four goals. Billy Stretch (31 disposals and a goal), Timothy Smith (three goals) and Cam Pedersen (20 possessions and a goal) were impressive for the Demons, who won by 39 points. Sam Durdin turned in another strong performance at the lower level for the Kangaroos. The South Australian, who made his senior debut in round three last year, played well in defence in North's 88-point loss. Tristan Xerri (three goals) spent time up forward and in the ruck and was a solid contributor. Ben McKay and Cameron Zurhaar were also handy for the Roos. Taylor Garner kicked one goal after sitting on the pine for the entire first quarter. Not for the first time this season, Anthony Miles was outstanding for the Tigers. The hard-bodied on-baller collected 41 disposals (18 contested) and kicked two goals in Richmond's 88-point rout of North Melbourne. Brandon Ellis and Corey Ellis both gathered 23 possessions, while Connor Menadue had 21. Tyson Stengle kicked three goals and Shai Bolton snagged two. Nathan Freeman starred for Sandringham in its 21-point loss to Essendon. The injury-prone midfielder, who is still yet to debut at AFL level, picked up 31 touches for the second week in a row. Bailey Rice, a father-son selection in the 2015 NAB AFL Draft, had 27 disposals and may be in the mix to make his senior debut. Nineteen-year-old key forward Josh Battle kicked two goals. Nic Newman racked up 40 disposals, 10 marks and seven tackles in Sydney's 31-point win against Greater Western Sydney at Spotless Stadium on Saturday. His goalkicking blemished his stats sheet, finishing with 0.3. Harrison Marsh amassed 35 disposals and two goals while Colin O'Riordan (33 and one) was similarly influential. Promising tall Aliir Aliir notched up 13 disposals. The Swans kept GWS to one goal in the first half as they won, 10.13 (73) to 5.12 (42). Young key forward Josh Schache slotted three goals for the second straight week as the Western Bulldogs lost to Port Melbourne by 33 points at Fortburn Stadium on Saturday afternoon. Schache returned from an ankle injury last week. Ruckman Tim English responded to being dropped with 11 disposals, 30 hit-outs and a goal while Lin Jong was tough in the clinches, collecting 23 disposals and laying 10 tackles. He also finished with a goal, as did Jackson Trengove and Jordan Roughead. Port Melbourne overcame a 13-point deficit at the main break to win, 15.12 (102) to 10.9 (69).